Being an indigenous Chinese from Hong Kong, I was always passionate about art and music. The decision to pursue fashion design in Paris shaped my life and future career. Starting from scratch, I learned a whole new foreign language, French. Being one of the few Asian students in school, the circumstances had trained me to be adaptable, tough and independent. Perseverance always prevails - a key quality I truly learned and kept since my experience then. When I returned to Hong Kong during the 90’s, I had realized my dream working in local fashion boutique and created my own brand. However, there was a great disparity between creativity and commercial values. Instead of staying with jobs to compromise my values, I found myself keener on studying interior decoration and began to explore my career in property market. Thanks to the support from my mother who had great interests in Hong Kong’s properties during the 80’s, I was always taught about the effects of layout and location for potential capital growth on every piece of property. When I decided to become a realtor in 1997, these are always useful tips when it comes to making recommendations to clients in the leasing and selling aspects. 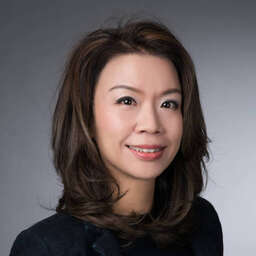 Having engaged in the vibrant and ever-changing real estate market in the last twenty years, I had gone through four major financial cycles in Hong Kong which provided me ample experience in offering professional advices to my clients under different economical situations to navigate the volatile investment landscapes of Hong Kong. Over 80% percent of my clients are expatriates from all over the world. Being a native Hong Kong Chinese having lived in continental Europe, I truly understand how to balance out the expectation and reality in home searching. As someone who had lived in Paris for years, I developed sensitivity which translates into home-finding expertise for sniffing out special apartments and unique opportunities which generate vast interests from tenants and buyers who had often become my repeated customers. Conversely, I have developed very engaging relationship network of property owners of special properties who often approach me for advice should they wish to lease out or sell their properties, which gives rise to off market opportunities and first mover benefits for my clients. I have many happy customers living in special lowrise apartments with gardens or terraces in Pokfulam, Chung Hom Kok or Stanley, colonial apartments on Midlevels or The Peak, bungalows with verandas in Tai Tam and Shek O, penthouses with private roof terraces, just to name a few. It is my passion that drives me working in the real estate market for more than two decades. It always gives me enormous joy and satisfaction when I manage to assist my clients to find an ideal home away from home.